Any idea what's going on? 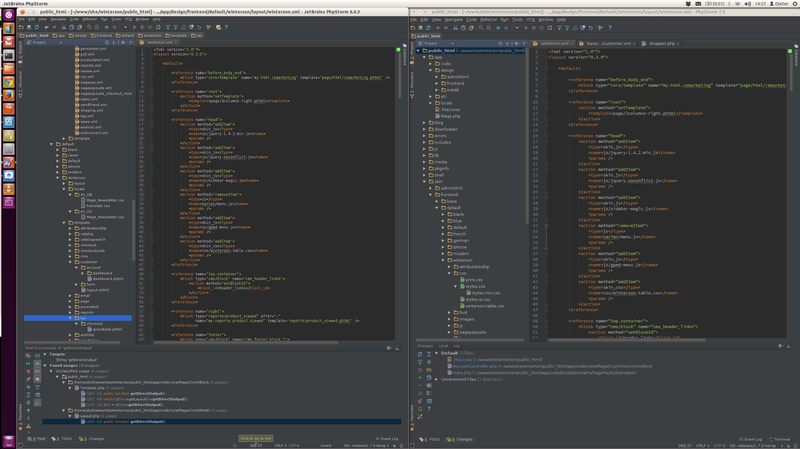 Compared to the latest 6 version, in 7 the fonts of the darcula theme look bigger, and in the editor part less crispy? Not sure yet what happened to the IDE font sizes itself, looks like they have been set to bigger too. Did the Darcula theme change perhaps? Please show the screenshot of the settings screen where "it does not keep the settings"
I'm not sure it's obvious... you'll need to view the original images out of the lightbox, the lightbox screws them up..
2) Font's in this settings screen affects Editor area only (plus some other areas like console/teminal; vcs status etc). To override font for menu/dialogs go to "Settings | Appearance"
2) Yeah I'm aware of that, just uploaded the screenshot because you asked it, I know it's only for the editor part and the IDE settings are elsewhere. 3) So yes, that's my whole point - in 7 the default fonts used are suddenly different and in a different size. 4) Yeah, but to be honest, the fonts out of the box in the latest 6 versions were perfect.